This one is a fake roll of toilet paper. It’s made to look like there is just enough left to do the deed. I took an empty roll and cut strips of printer paper to fit. I used a glue stick to adhere the paper to the roll. When I got to the end I wrote my note going backwards and then glued 1 square of toilet paper to the end. I turned it over and ran one thin line of my glue stick down the center and rolled it up so it is held together but when he pulls it will unroll. The words are read one line at a time going from the bottom up so as he pulls he’ll see more of it. Hopefully he won’t look around before he sits down but when he does look around he will find some stashed toilet paper nearby. I had planned on doing it better than this and leaving more space between each line but some days he wakes up at 4 am so I was worried I didn’t have enough time. 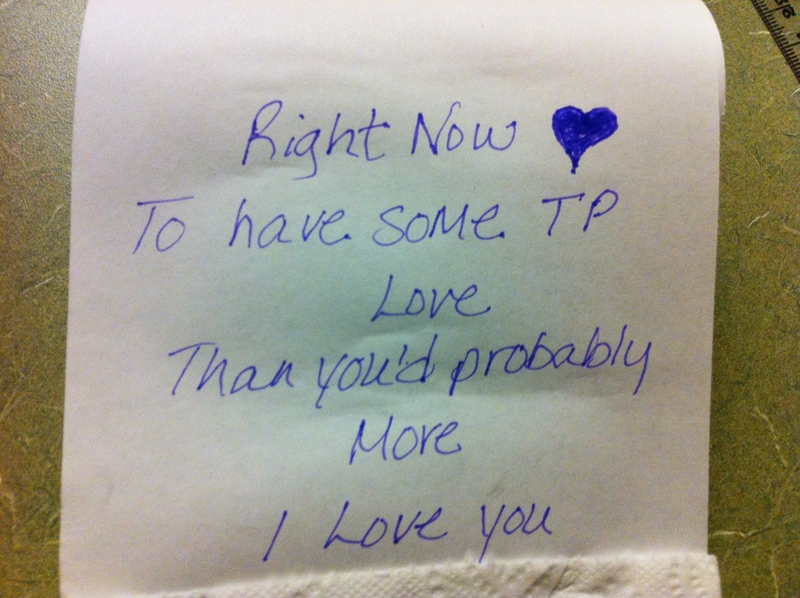 I fell sleep early last night so no time to play LOL The best part is this valentine didn’t cost me anything to make! Since I’m not working I have to be frugal. Frugal Friday is a blog hop where we share frugal tips, our experiences from trying something frugal, or our thoughts on what it means to us to be frugal. In tight times, we are all looking for ways to save money. Every Friday, write a post on the subject of being frugal or saving money. It can be a how-to post, your own experiences when you tried a frugal tip you saw somewhere (good or bad), or what it means to you to be frugal. It can be an old post in your archives. It can be anything, as long as you’re talking about being frugal. Grab a badge and place it in your post. Link back to http://msannomalley.com somewhere in your post. Stop in and read your fellow bloggers posts. Oh, that is so funny! Very clever!! But I hope he didn’t immediately go for a new roll. 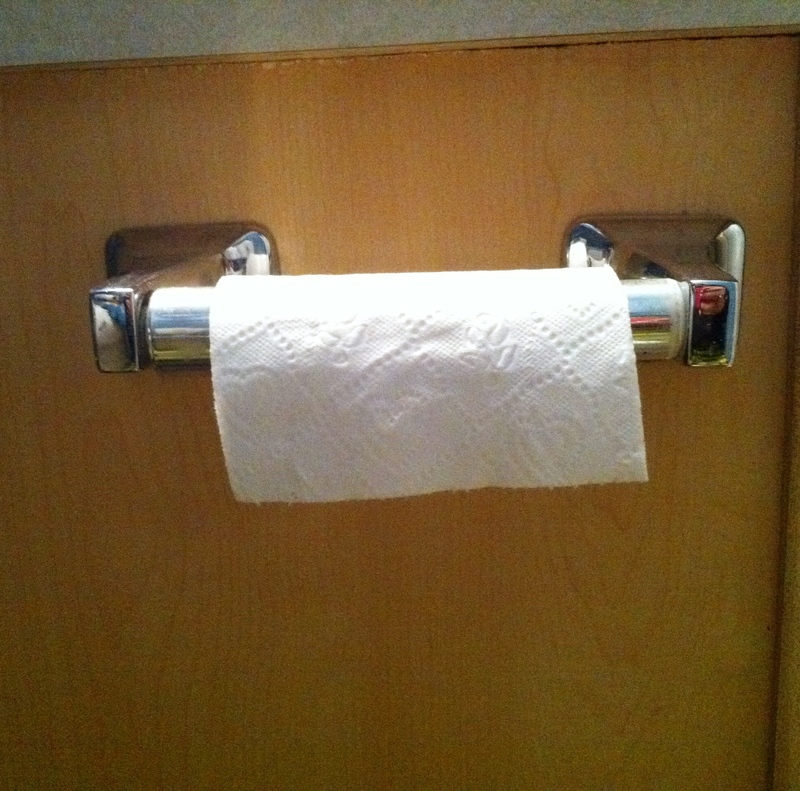 I know my son would just reach for the new roll and leave the little bit hanging there for somebody else to change if he was in a hurry. 😉 Let us know.